"General Mitchell continued his service to ROA and America's reserve force long after the conclusion of his term as association president," said ROA's executive director, Jeff Phillips. 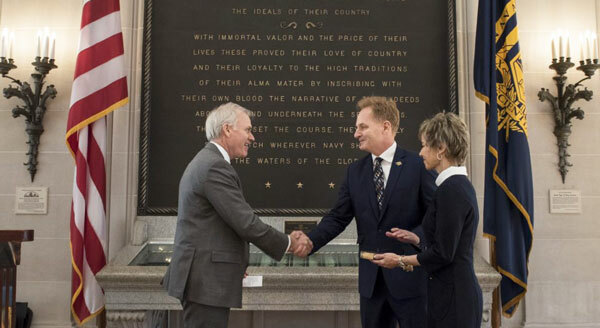 "He was a generous donor; and he walked the talk when it came to membership growth, personally signing up many new members, serving and veteran, active and reserve, officer and NCO. We owe him much!" Samuel was born August 10, 1938 to Samuel P. and Blanche (Pettigrew) Mitchell, Sr. in Portsmouth, New Hampshire. 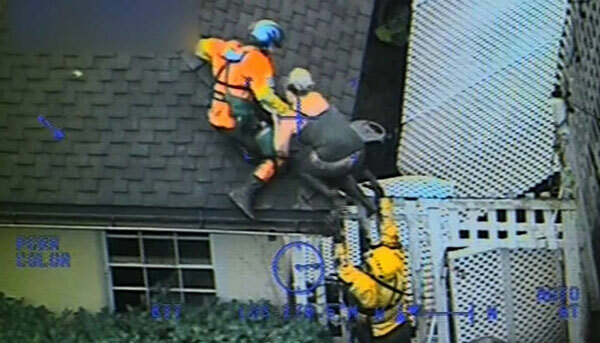 He is survived by his loving wife, June Mitchell; two children: Samuel Mitchell III (Tonya); and Leland Mitchell (Michelle). 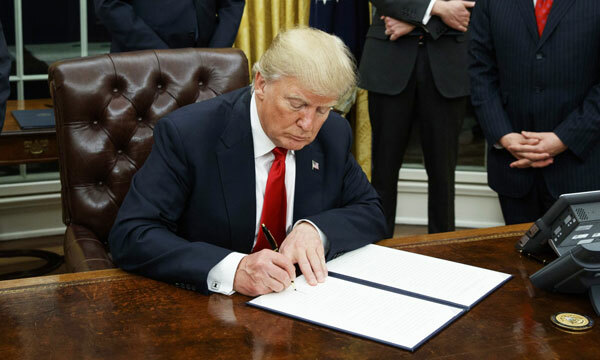 Transitioning service members and veterans can now receive up to a year of mental health care from the Veterans Affairs Department after discharge from the service, according to an executive order President Donald J. Trump signed today. The order, “Supporting Our Veterans During Their Transition From Uniformed Service to Civilian Life,” directs the Defense, Veterans Affairs and Homeland Security departments to develop a joint action plan to ensure the 60 percent of new veterans who now do not qualify for enrollment in health care -- primarily because of a lack of verified service connection related to the medical issue at hand -- will receive treatment and access to services for mental health care for one year following their separation from service. Sen. Chuck Schumer (D-NY) wants the Army to posthumously honor a U.S. soldier and native of Ghana who raced repeatedly into a burning New York City apartment building in late December, saving four people before he died in flames that also claimed a dozen other lives. Army National Guard Pfc. Emmanuel Mensah, 28, “was many things: a soldier, an immigrant, a first-generation American, a New Yorker — but above all else he was a hero,” Schumer said in a letter to the Army requesting that Mensah be formally awarded for his sacrifice. 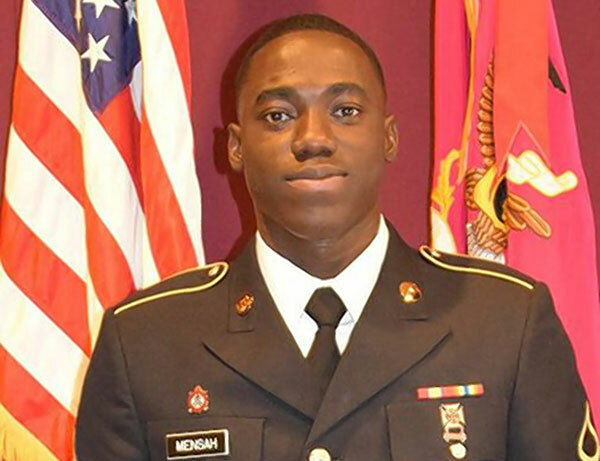 Mensah perished Dec. 28 on a frigid night inside the five-story Bronx apartment building where he lived before joining the military a year earlier, Army officials said. He was home for Christmas after finishing National Guard basic training in Fort Lee, Virginia. The fire, the city’s deadliest since 1990, was accidentally started by a child playing with a gas stove, fire officials said. After the boy and his mother fled, flames spread up a stairwell and consumed the inside of the building. Schumer has written to Army Secretary Mark Esper urging the military to issue the soldier a posthumous award recognizing “the Army values of personal courage, selfless service and duty.” Col. Richard Goldenberg, a National Guard spokesman, said the military is working with Mensah’s relatives to decide on final arrangements, services and ceremonies. Mensah was to begin drills this month with the New York Army National Guard’s 107th Military Police Company, based at Fort Hamilton, Brooklyn. “I knew from the moment I met him his heart was as big as our National Guard family,” National Guard Staff Sgt. Ruben Martinez-Ortiz, who recruited Mensah in 2016, wrote on an Army website. 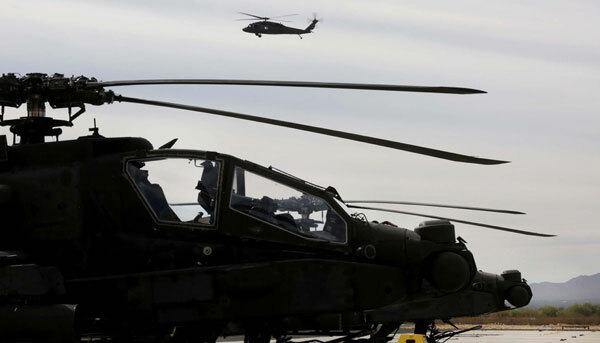 The chief of the Arizona National Guard is mounting a last-ditch effort to save Apache attack-helicopter training at the Silverbell Army Heliport near Marana, as the Army moves to transfer most of the Guard’s Apaches to active-duty units. The plan could cut 400 soldiers from the already diminished AH-64 Apache combat unit at Silverbell, which together with other units contributes an estimated $147.4 million annually to the local economy, according to a recent report. After initially proposing to swap out all of the Guard Apaches for less-capable UH-60 Black Hawks, the Army is now planning to retain four Apache attack battalions in the Guard, with a decision on where those units will be based due from the Army chief of staff in the near future. The adjutant general of the Arizona National Guard, Air Force Maj. Gen. Michael T. McGuire, says he’s concerned about the potential loss of the 400-member Apache combat unit at Silverbell, the 1st/285th Attack Reconnaissance Battalion, and its impact on the region. But McGuire said his main worry is that the Army’s plan to cut the number of Apache attack units in the Guard to just four battalions — with 18 aircraft each, compared with the normal complement of 24 — is “unsustainable” and will waste the skills of hundreds of trained aviators, maintainers and support personnel. The battalion’s more than 400 other members would be transferred to non-aviation units in transportation, logistics and military police. McGuire says it would be foolhardy to jettison skilled Apache pilots and maintenance crews when both the Guard and the active-duty Army are facing personnel shortfalls. McGuire and local military supporters have been lobbying Sen. John McCain and the rest of the Arizona congressional delegation to save the Apaches at Silverbell. Tax time is here, and so are some 2017 Defense Department tax statements — including W-2s for Marines — that can be downloaded from your MyPay account. The IRS will begin accepting tax returns 29 January 2018. This year’s deadline for filing tax returns is 17 April 2018. W-2s for active-duty and reserve-component Marines. W-2s for reservists in the Army, Navy and Air Force. 1099-Rs for retirees and annuitants. 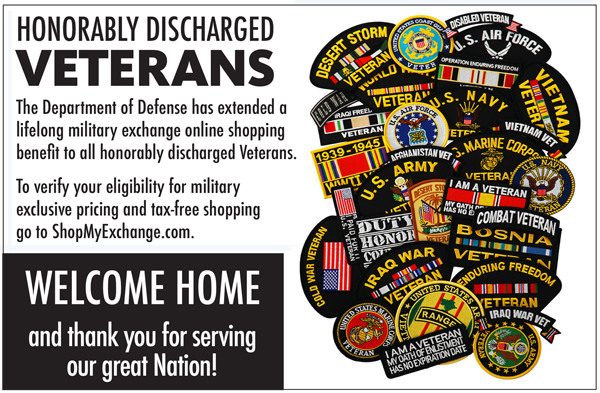 W-2s for active-duty Army, Navy and Air Force members. A schedule for the availability of other tax documents — such as the 1095-B or 1095-C forms for military, retirees and federal civilian employees who receive health care insurance coverage through the Tricare or Federal Employee Health Benefit program — is available at the Defense Finance and Accounting Service website. Thomas Modly became the 33rd Under Secretary of the Navy on 8 January 2018 after a ceremony at the U.S. Naval Academy. Modly, the son of immigrants, grew up outside Cleveland, and remains an avid Indians and Cavaliers fan, according to social media profiles. He graduated from the U.S. Naval Academy in 1983. Both his parents came to the U.S. to escape living behind the Iron Curtain. As Modly told the Senate during his confirmation hearing in November 2017, his father escaped Hungary 69 years ago because he didn’t join the communist party and would be shut out of any chance of having a successful career. After serving as a Navy helicopter pilot for seven years, Modly worked in academia, the private sector and public sector. 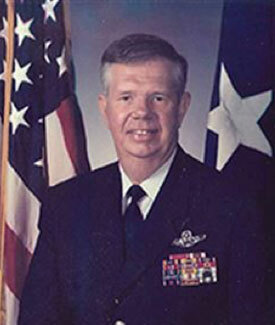 In the early 2000s, Modly was the deputy undersecretary of defense for financial management and was the first executive director of the Defense Business Board. Veterans not currently enrolled in VA health care can apply online using a simple, mobile-friendly application. Already, over 275,000 applications have been submitted using this tool. Existing VA patients can now schedule appointments online for primary care, audiology, optometry, and outpatient mental health at over 100 participating medical centers across the country. VA patients can also now message their health care team or refill a prescription from their smartphone. We’ve completely rebuilt the way Veterans, Servicemembers, and their dependents apply for education, pension and burial benefits, making accessing these benefits easier than ever before. The GI Bill Comparison tool helps Veterans learn about education programs and compare benefits by school. Veterans can also check the status of their Post 9/11 GI Bill benefits and access a statement of benefits to verify eligibility with their school. We have created a streamlined way for Veterans to check the status of their claims and appeals in one place. Veterans can use this tool today and thanks to the support of Congress, we’ll be making even more improvements in the Appeals process over the coming 18 months. READ HERE> to receive a $25 participation stipend for your feedback. Beginning January 17, 2018, the United States Mint opens sales for their new 2018 World War I Centennial Silver Dollar. This new coin honors the 100th anniversary of American participation in World War I. Surcharges from the sale of these coins are authorized to be paid to the United States Foundation for the Commemoration of the World Wars to assist the World War I Centennial Commission in commemorating the centennial of World War I. 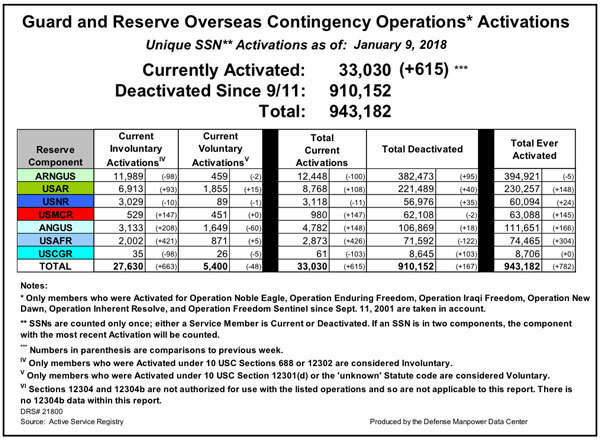 The Centennial Commission is a Congressional Commission, whose mission is public outreach and education about American involvement in the war. The Commission was authorized by Congress to create the new National World War I Memorial in Washington DC. This memorial will be located at DC's Pershing Park, on Pennsylvania Avenue NW and 14th Street NW, a block from the White House. The Centennial Commission receives no taxpayer funding. The World War I Centennial Silver Dollar will be produced in limited quantities, and will be available for purchase online from the Mint through to December 28, 2018. Sales website is www.catalog.usmint.gov. The U.S. Mint has also created special companion medals, honoring each of the military branches that served in World War I. These silver companion medals will be available from the Mint as part of five different World War I Silver Dollar and Medal Sets. Information on these sets can also be found at www.usmint.gov.